The Alta has fewer features than its predecessor, but its design makes up for it. The Fitbit Alta is what happens when Fitbit sits down and decides to make a fitness tracker that isn't ugly. 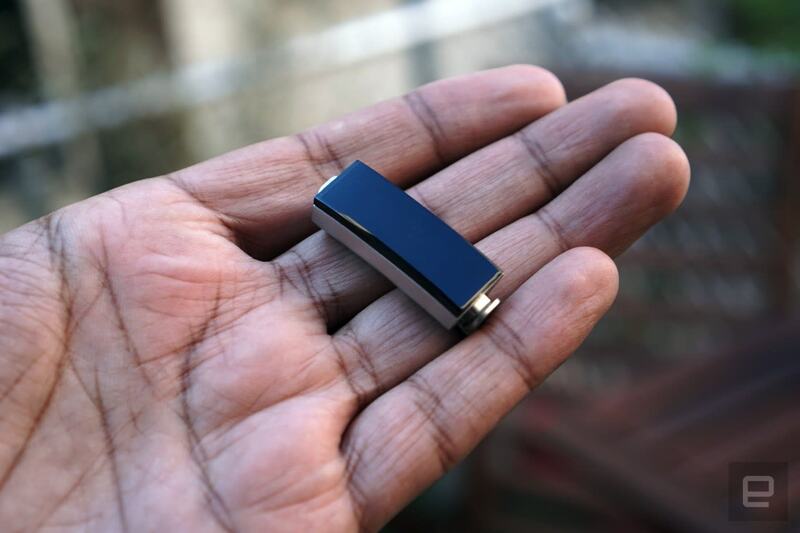 After all, the novelty of fitness trackers is wearing thin, so the company needs a new strategy to take on increasingly flashy competitors. We saw hints of a new design direction with the Surge in 2015, but it really came into focus this year with the debut of the Blaze smartwatch and Alta band. They're not as stylish as other fitness gadgets from the likes of Jawbone and Misfit, but they're a start. 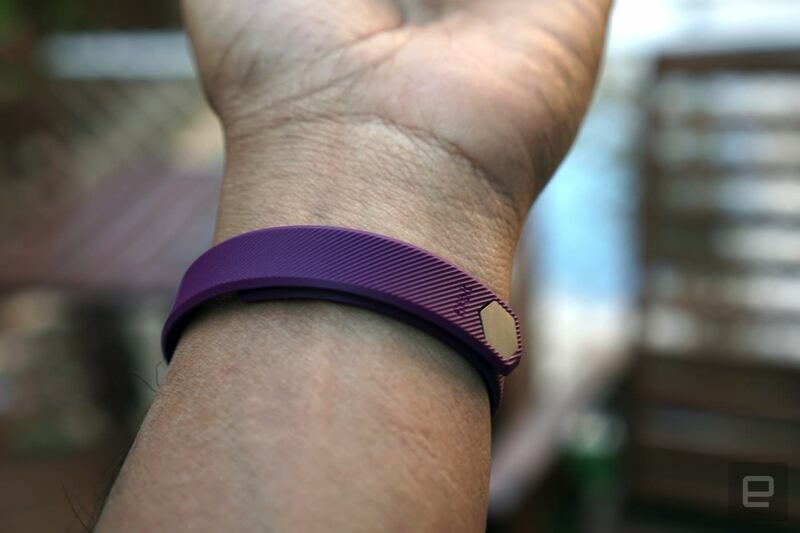 The Alta in particular is Fitbit's most fashion-forward device -- something you could wear on a run or a date. That's the hope, at least. 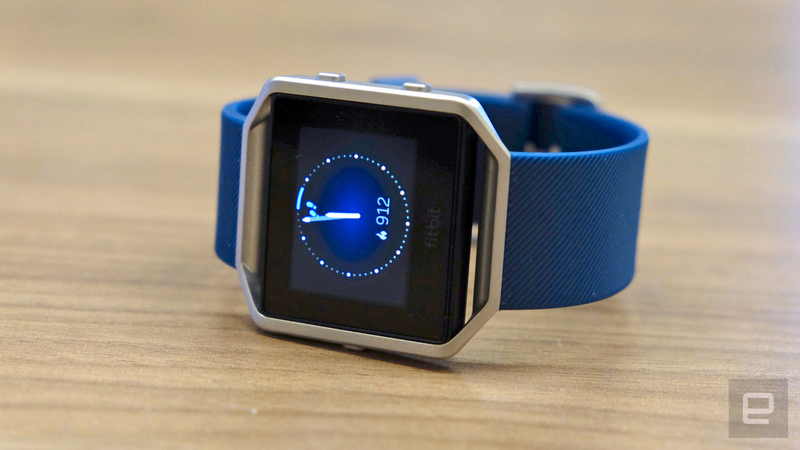 The Alta shows Fitbit has learned enough about design to compete with more stylish rivals. It's also a lesson in how fewer features can sometimes lead to a better product. How would you rate the Alta? The best thing about the Alta is that it doesn't look anything like Fitbit's last few generations of wristbands. Gone are the wide straps, chunky builds and thin displays (the Flex couldn't even display text, just dots). Instead, the Alta is dominated by a large, touch-sensitive OLED screen. It has a sleek metallic core unit and its straps are all much thinner. 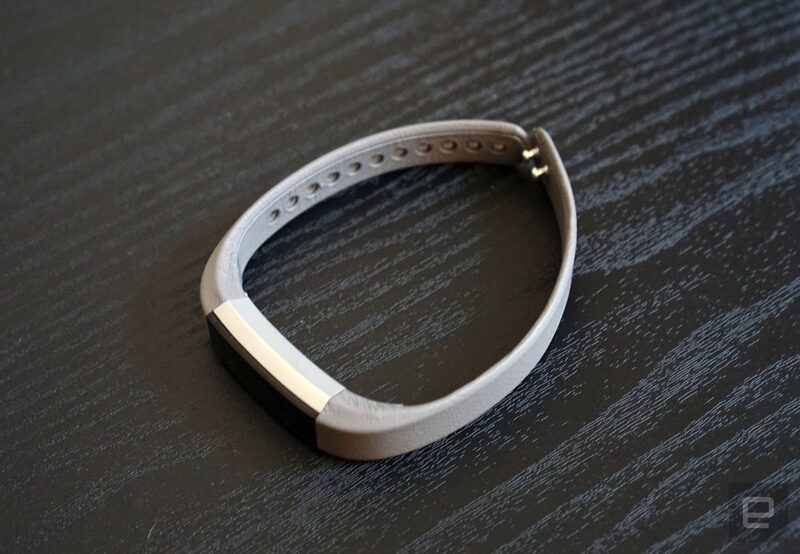 It's still obvious you're wearing a fitness band, but at least it doesn't look like a low-budget-sci-fi movie prop. Surprisingly, there aren't any buttons on the Alta. That's because you don't really need them; it automatically tracks your activities and sleep. You interact with it by raising your wrist, or by double-tapping the display. Tapping on the bottom of the screen cycles through your basic fitness stats, including your steps, distance traveled, calories burned and active time. The Alta ships with either small or large standard bands, which are built out of the same elastomer material as Fitbit's other straps. They're rubbery and somewhat stiff -- the sort of thing you won't have to fuss with if they get wet or sweaty. Appearance-wise, the bands are just OK. They don't call much attention to themselves, but they're not exactly elegant (though I'm really digging the plum one). Fitbit also has a slew of accessories on hand this time around, including pink and graphite leather bands for $60 and a stainless steel one for $100. You can also pick up additional standard straps in black, blue, plum and teal for $30. The idea is that you'll be able to customize your Alta and dress it up and down as necessary. Swapping the bands is fairly easy: You just need to hold down two buttons on the Alta's underside and slide in the replacement straps. There's no heart rate monitor on the Alta, which speaks to how Fitbit is positioning it. Most people don't actually need that functionality and for many, having a slightly sleeker device is more important. If you've seen the Fitbit Charge in action, the Alta isn't much different. In addition to displaying the fitness stats I mentioned earlier, its screen will also alert you to incoming calls and texts. You can swap between vertical and horizontal text display from the Fitbit app, which also has a few different watch faces to choose from. All of those watch faces basically look the same, though; you can only expect so much from a monochrome screen. Beyond that, there's not much to customize with the Alta. You can choose to turn off certain stats from the device's screen, or rearrange the order in which they appear. But that's about it. Naturally, you'll be relying on Fitbit's mobile apps most of the time for detailed information about your fitness stats. The Alta automatically syncs with those apps throughout the day, or you can initiate manual syncs on your own. 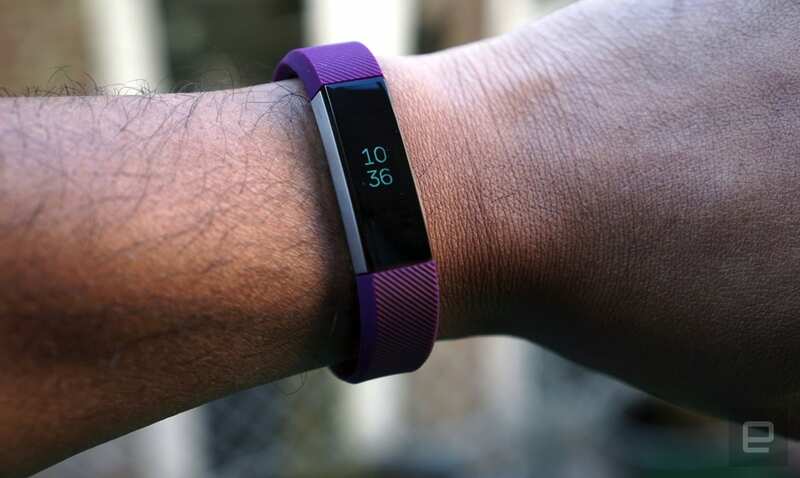 It's been a few years since I've reviewed a Fitbit wearable, so its colorful, more user-friendly apps were a welcome sight (they used to be excessively dull). Automatic activity tracking isn't anything new for Fitbit, but the Alta's implementation adds another layer of refinement. Fitness gadgets are known for having a very low retention rate; plenty of consumers have tried them only to give up after a few weeks or months. Automating the most rote tasks is one way to potentially help users get over that hump. They just have to put the Alta on, without worrying about pressing buttons or fiddling with settings. I've worn plenty of fitness trackers over the years, and the Alta is one of the most comfortable (aside from the frustration of actually putting it on). The standard wrist band isn't anything special, but I was able to wear it for days without any issues. The Alta's leather strap is even better: It's as soft and smooth as you'd expect a premium band to be. It ended up becoming my go-to, though I had to be a bit more careful since Fitbit recommends keeping it away from water, oils and anything that could potentially damage it. The big takeaway: If you're getting an Alta, you should definitely plan on picking up a leather band. Fitbit claims that the Alta should last around five days on a charge, and that's pretty close to what I saw in practice. Sometimes I'd have to charge it on the fourth day if I exercised a lot, but for the most part it reached five days without issue. That's on par with the battery life you'll get from Fitbit's Charge HR band, though the plain Charge can last seven to ten days. At $130, the Alta is the same price as last year's Charge, which has a much clunkier design but also has the added benefit of stair tracking. (I expect the Charge to get a price cut soon.) If you're more of a fitness hound, you can get the Charge HR with heart-rate tracking for $150, or step up to the Blaze for $200. The Alta's closest competition is other design-focused fitness bands like the Jawbone Up3 ($100) and the Misfit Ray ($100). While cheaper, neither of those alternatives have screens of their own, instead they rely on their mobile apps to display stats. We found the Up3 to be incredibly problematic when it launched, but it's worth noting that Jawbone was able to include a basic heart-rate monitor. The Up3 is also much cheaper now than its original $180 price, which partially factored into our review when it came out. In the end, the Alta is a big leap forward for Fitbit in terms of design, yet it's in some ways a step back in functionality. But for a company that's mostly been focused on technology over looks for the past few years, that's probably a wise compromise. Fitness trackers are no longer the hot new thing: You need a bit of flash to stay in the race. It's also a reminder that most consumers might not need the features gadget companies have been pushing on us. 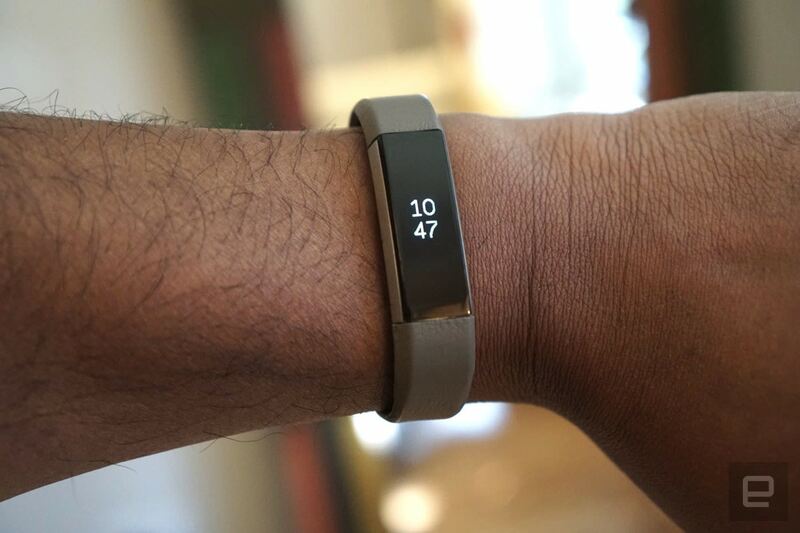 When it comes to something I wear all day, I'll always take a slim and attractive fitness tracker over a bulky one that just happens to track my heart rate.